A Short History of the Formative years at the Bloomington Drosophila Stock Center (BDSC). On Morgan’s and Bridges' deaths the collection was passed on to Sturtevant who subsequently passed it on to his student Edward B. Lewis. In the early 1980's this collection contained ~1600 stocks, mostly classic mutations, chromosome aberrations and balancers that had been accumulated over the years. The collection was supported by funds from the National Science Foundation (NSF) and the center distributed stocks to the Drosophila community on a no cost basis. It was this set of stocks that formed the basis of the collection that started the BDSC. How then did the Bridges/Lewis Cal Tech collection come to IU? In the early 1980's the annual Drosophila Research Conference was a much smaller affair and it could be held at smaller venues. One of the favorites was Asilomar a conference center on the Monterey peninsula near the Pebble Beach golf course in California. I was standing in line for lunch outside the cafeteria and chatting with Dan Lindsley. He mentioned that Ed Lewis was retiring and that the Cal Tech administration didn’t want to continue housing the Drosophila stock collection. This was before Ed won the Nobel Prize which I am sure would have altered their lack of commitment to the stock center. In any event it occurred to me that IU with its excellent fly facilities and lower costs might be a good place to move the collection if it had to be relocated, I proposed doing so to Dan and he agreed to talk to Ed and help with the move. My volunteering was not entirely altruistic. At that time there was a young postdoc in my lab named Kathy Matthews who had done some very nice work on tubulin molecular biology and genetics. Matthews KA, Kaufman TC. 1987 Developmental consequences of mutations in the 84B alpha-tubulin gene of Drosophila melanogaster. Dev Biol. 119(1):100-114. Matthews KA, Miller DF, Kaufman TC. 1989 Developmental distribution of RNA and protein products of the Drosophila alpha-tubulin gene family. Dev Biol. 132(1):45-61. Matthews KA, Miller DF, Kaufman TC. 1990 Functional implications of the unusual spatial distribution of a minor alpha-tubulin isotype in Drosophila: a common thread among chordotonal ligaments, developing muscle, and testis cyst cells. Dev Biol. 137(1):171-183. I knew that Kathy was not excited about the prospects of a "normal" academic position that involved teaching and committee duties. She liked doing science, knew flies and genetics and was very well organized. I thought, if she would do it, she would make an excellent manager for the stock collection. Ed Lewis had always had such a person and it seemed a good idea to continue with his model. When I returned from California, I called Kathy to my office told her of Cal Tech's lack of interest in keeping the collection and proposed that we move it to IU and that she be the collection manager. She agreed and we began the process of getting the NSF grant transferred to IU (this entailed writing a new proposal) and making plans to have the collection mailed to Bloomington. We also needed to find folks to help with the feeding of the flies, i.e., Stock Keepers. At the time of the transfer Trudy was working in the Biology department taking care of the Drosophila stocks for Jose Bonner, Tony Mahowald and me and we thought the expedient thing to do was to simply move her to a position in the new Stock Center (circa 1986). It also became clear that the job was too much for a single person. Therefore, a full-time employee Debbie Snedegar and two part-time students, Rhonda and Monica were hired to help out (circa 1988). The size of the collection has grown enormously over the years in order to accommodate changes in the tools available to the research community. This increase has dictated that the staff both administrative and stock keeping at the BDSC has grown significantly over the years. The subsequent history of the BDSC is outlined below by Kathy and the stock center staff. T.H. 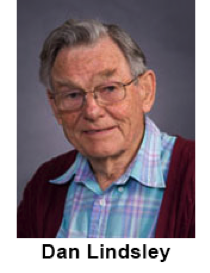 Morgan's group at Columbia began using Drosophila in genetic studies; C. Bridges maintained a collection of stocks produced by the group and provided samples to anyone requesting them. E.B. 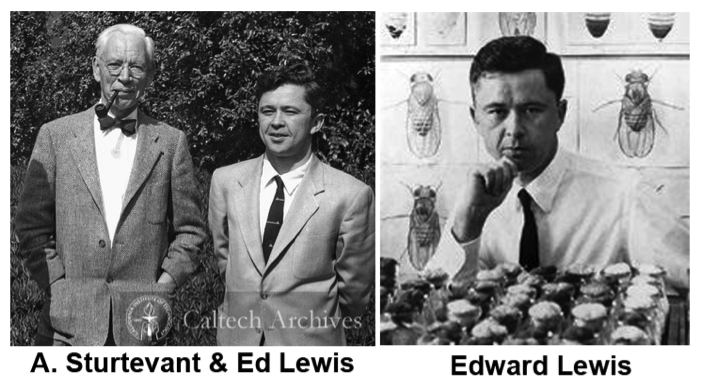 Lewis took responsibility for the collection at Caltech, continued until retirement; scientific staff included Rhoda Grell, Terry Johnson and Loring Craymer. The collection of 1,675 stocks moved to Indiana under the management of T.C. Kaufman & K.A. Matthews; significant expansion of holdings undertaken; funded by a grant from NSF; ~1,000 subcultures distributed. The first stock shipment from Bloomington was mailed on October 15, 1986 (to J. Roote, University of Cambridge, #1936 Df(3R)cu/TM3 and #1657 cu kar). Bloomington Stock Center Advisory Committee established, consisting of M. Ashburner, V. Finnerty, B. Judd, C. Langley, D. Lindsley, A. Spradling and B. Wakimoto; Bloomington Deficiency Kit established; collection at about 2,600 stocks; ~3,350 subcultures distributed. User fees implemented, grant funding provided jointly by NSF and NIH under NSF award Number DBI-9816125. Collection at about 4,800 stocks; ~25,500 subcultures distributed. A new Stock Centers Advisory Committee, appointed by the Drosophila Governing Board and charged with advising both the Bloomington and Mid-America Centers, established: D. Lindsley, M. Ashburner, H. Bellen, N. Perrimon, S. Hawley; ~32,500 subcultures distributed. Kevin Cook joined the scientific staff. Mid-America Center closed, about a quarter of those stocks moved to Bloomington. K. Golic replaced D. Lindsley on the Advisory Committee. Collection at about 6,000 stocks; ~38,150 subcultures distributed. Collection at about 6,800 stocks; ~49,700 subcultures distributed. Collection at about 7,000 stocks; A. Simcox replaced K. Golic on the Advisory Committee; ~ 71,000 subcultures distributed. Collection at about 7,880 stocks; U. Heberlein replaced S. Hawley on the Advisory Committee; ~85,650 subcultures distributed. Collection at about 9,000 stocks; NIH funding increased, allowing the collection to plan an expansion to 15,000 stocks; a new fee structure replaced ranges of flat-fees with a per-stock charge; ~86,000 subcultures distributed. The collection had about 11,600 stocks at the end of the year and distributed ~107,400 subcultures during the year. The collection had about 14,150 stocks at the end of the year and distributed ~128,000 subcultures during the year. Stacy Holtzman joined the staff as the Center's first Research Associate. Susan Parkhurst replaced U. Heberlein on the Advisory Committee. The collection had about 19,300 stocks at the end of the year and distributed ~153,500 subcultures during the year. Support provided by NSF & NIH under NSF Award Number DBI-9816125. HHMI provided funds to renovate and equip an efficient, high-volume media kitchen and to convert the existing kitchen space to high-capacity, temperature-contolled space for stocks. The collection had about 20,570 stocks at the end of the year and distributed ~158,400 subcultures during the year. Support provided by NSF & NIH under NSF Award Number DBI-9816125. Ken Burtis replaced M. Ashburner on the Advisory Committee. The collection held about 21,300 stocks at the end of the year and distributed ~163,600 subcultures during the year. Support provided by NSF & NIH under NSF Award Number DBI-9816125. Luke Jacobus joined the staff as Laboratory Manager. The collection held about 23,250 stocks at the end of the year and distributed ~155,500 subcultures during the year. Support provided by NSF & NIH under NSF Award Number DBI-9816125. The collection held about 24,850 stocks at the end of the year and distributed ~165,300 subcultures during the year. Support provided by NSF & NIH under NSF Award Number DBI-9816125. Annette Parks joined the scientific staff as Collections Manager. The collection held 27,376 stocks at the end of the year and distributed ~166,150 subcultures during the year. Support provided by NSF & NIH under NSF Award Number DBI-9816125 & DBI-0841154. HHMI provided renovation funds that will allow expansion of the collection to 60,000--70,000 stocks. The collection held 30,810 stocks at the end of the year and distributed 196,930 subcultures during the year. Support provided by NSF & NIH under NSF Award Number DBI-0841154. Luke Jacobus departed and Kim Cook joined the staff as Laboratory Manager. The collection held 38,424 stocks at the end of the year and distributed 214,718 subcultures during the year. Support provided by NSF & NIH under NSF Award Number DBI-0841154. The collection held 44,904 stocks at the end of the year and distributed 222,981 subcultures during the year. Support provided by NSF & NIH under NSF Award Number DBI-0841154. The collection held 50,289 stocks at the end of the year and distributed 228,432 subcultures during the year. Support provided by NSF & NIH under NSF Award Number DBI-0841154. Ruth Binkley retired and Jane Stout joined the staff as Accounts Manager. As of August 1, 2014, grant support is provided by Office of the Director of the National Institues of Health under Award Number P40OD018537 (OD, NIGMS and NICHD are the contributing ICs). The collection held 53,736 stocks at the end of the year and distributed 236,340 subcultures during the year. Lily Golden and Ellen Popodi joined the project as Research Associates. Lily is focusing on the allele mapping component of our NIH grant (Award Number P40OD018537). Ellen is contributing to a range of tasks with a focus on quality control. The collection held 58,874 stocks at the end of the year and distributed 243,148 subcultures during the year. Cale Whitworth and Sam Zheng joined the BDSC as Research Scientists. The collection held 59,126 stocks at the end of the year and distributed 217,072 subcultures during the year. The collection held 67,634 stocks at the end of the year and distributed 218,429 subcultures during the year. Lily Golden was promoted to Research Scientist and Jessica Holsopple joined the BDSC as Research Associate. The collection held 70,970 stocks at the end of the year and distributed 222,975 subcultures during the year.